The holiday season is upon us, and that means the scramble to find the right gift for the ones you love is also here. Whether you're buying for the golfer in your life, or you're a golfer struggling to come up with gifts for others to buy you, we here at the Billy Casper Digital Network are here to help. We're offering a series of gift guides to help you think of the litany golf gifts that would make you or someone else very happy. We start our series with a look at some drivers, the big-screen TVs of golf equipment. Whether you're a casual player or a long-time gamer, most everyone wants to hit the ball a few extra yards. That's why we gravitate toward drivers and their promises of extra yards and less wayward tee shots. And if you haven't bought a driver in a while, there are a lot more subtle choices when it comes to your 1-wood. These days, you can move more weight on your driver than ever before, either to move the center of gravity, offer more or less forgiveness at the edges of the clubface or promote a shot bias (draw or fade). With that in mind, here are three drivers on the market now worth spying. Big Bertha Alpha 815 (MSRP: $450): This driver is the end-of-year sequel to the successful Big Bertha Alpha driver. The central feature to the original Alpha is the “gravity core,” a removable weight placed in the center of the club’s sole. One end is weighted with 10.5 grams of tungsten, while the other end is 1.5 grams of nylon. When the tungsten weight is placed facing inside the club, the weight creates a higher center of gravity with more spin. Flip it over and the ball spins about 300 rpm less off the face. A forged composite crown allows weight to be moved to other places on the club (including in your hands with the adjustable weights). The club also comes with two plug weights — 7 grams and 1 gram — that can be placed in the heel or toe to create shot-shape bias. The company's OptiFit system offers customization with settings for loft and lie. PING Golf G30 (MSRP: $349): PING's G30 driver is all about clubhead speed. The most visible way the G30 helps players generate speed is with what the company calls turbulators on the top of the clubhead. They look kind of like wings, and PING engineers say they'll give you extra mphs when you swing. It's aerodynamics! The company's most low-and-back center of gravity helps launch the ball optimally. And the club is fully adjustable. BombTech Grenade (MSRP: $299): Maybe you're looking for something a little different. From the paint job to the performance, the BombTech Grenade driver is just that. 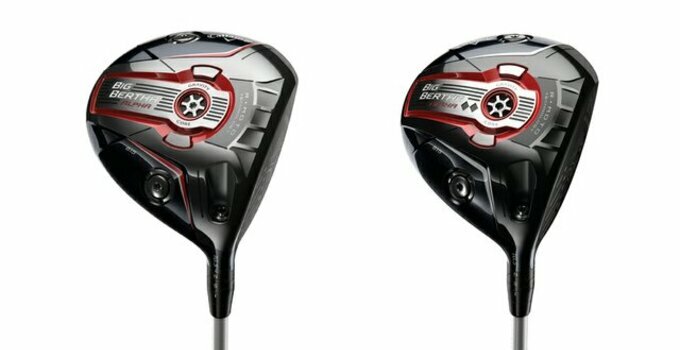 BombTech, an independent club maker based out of New England, wanted to make a better driver. After a lot of testing, they settled on the Grenade design, which features a dual cavity in the sole of the club to reduce drag, two-piece construction for a better transfer of energy from the clubhead to the ball and a center of gravity as close to the center of the clubhead as possible. The clubs are bought online with a money-back guarantee and free custom fitting.